Microsoft CEO Satya Nadella opened the company's developers conference Monday by focusing on ethics. The tech industry’s mission shouldn’t just be to invent new technology, but also to make sure that technology is responsible and ethical. 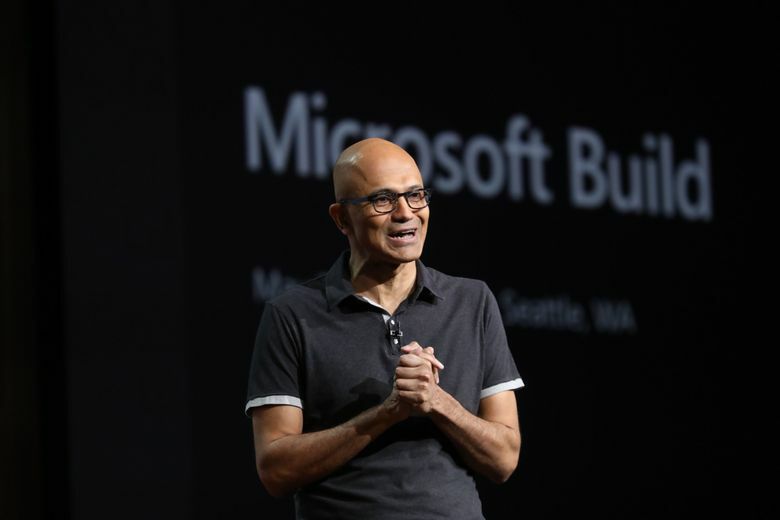 That was Microsoft CEO Satya Nadella’s opening message at the company’s technology conference, Microsoft Build, in downtown Seattle on Monday. 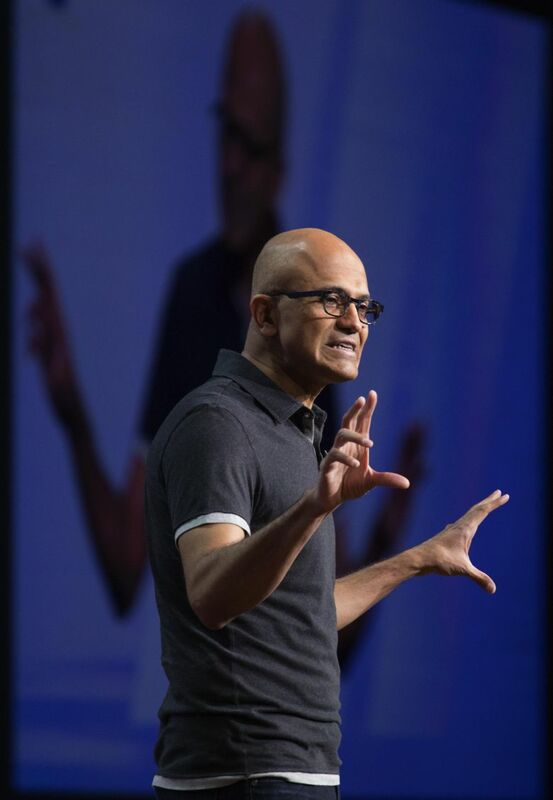 “We need to ask ourselves not only what computers can do, but what computers should do,” Nadella said during his keynote presentation, calling out the impact of cybersecurity, artificial intelligence and especially digital privacy. The tech industry is busy getting ready for the European Union’s new data privacy regulations, which take effect at the end of the month. The General Data Protection Regulation, or GDPR, is intended to protect EU citizens’ digital data, and companies have spent the last two years preparing to comply. Read more about Microsoft here. Companies will have to get permission from EU customers before collecting data – a hot-button aspect of the digital world that became an intense national discussion in the U.S. this spring when it was revealed just how much data Facebook is collecting on all of its users. 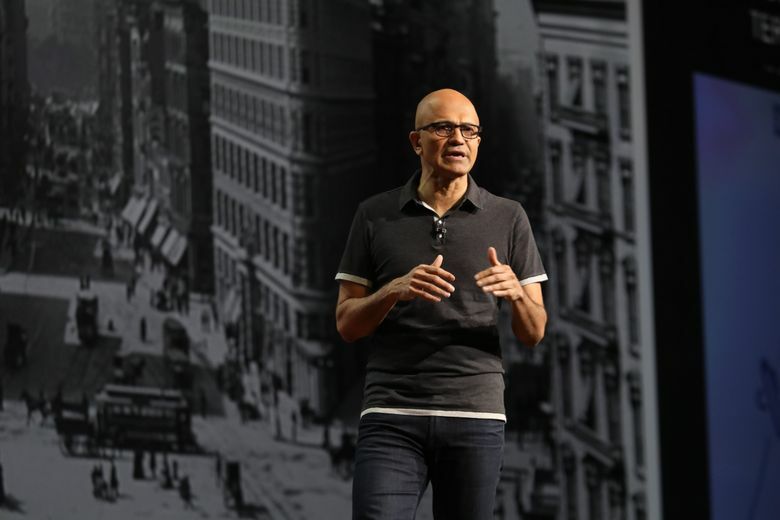 Nadella praised the upcoming EU regulation on Monday, calling privacy a human right. “GDPR is a sound, good regulation,” Nadella said. The company has been preparing for compliance since the regulation was approved in 2016, he said. Microsoft has long positioned itself as a supporter of digital privacy and recently ended a long-running lawsuit against the U.S. government involving how digital data can be shared across borders. The suit, which had reached the U.S. Supreme Court, was decided by the court last month to be moot after Congress passed a law that set out guidelines for cloud companies and law enforcement agencies to access data held internationally. The Cloud Act was backed by Microsoft and much of the tech industry, but criticized by some digital privacy organizations for not going far enough to protect consumers. Nadella also pointed to Microsoft’s internal efforts to establish an ethics board for artificial intelligence technology. 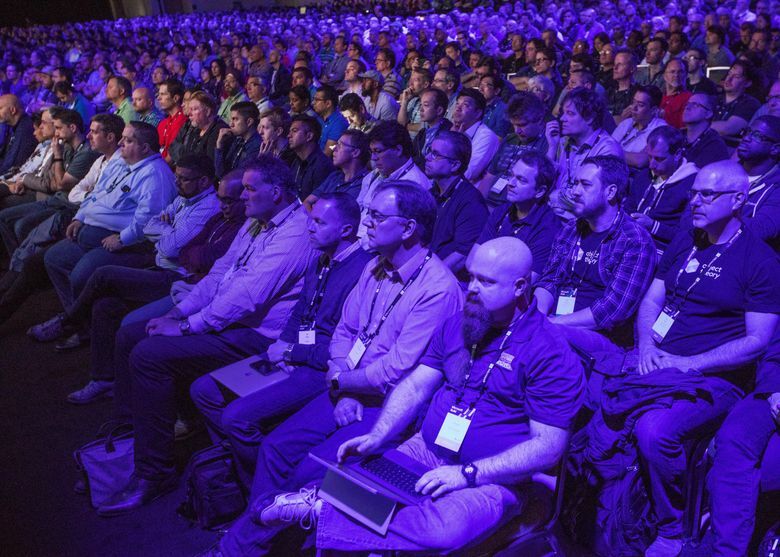 This week’s Microsoft Build conference brings together developers who build tools and applications on top of Microsoft’s technology. 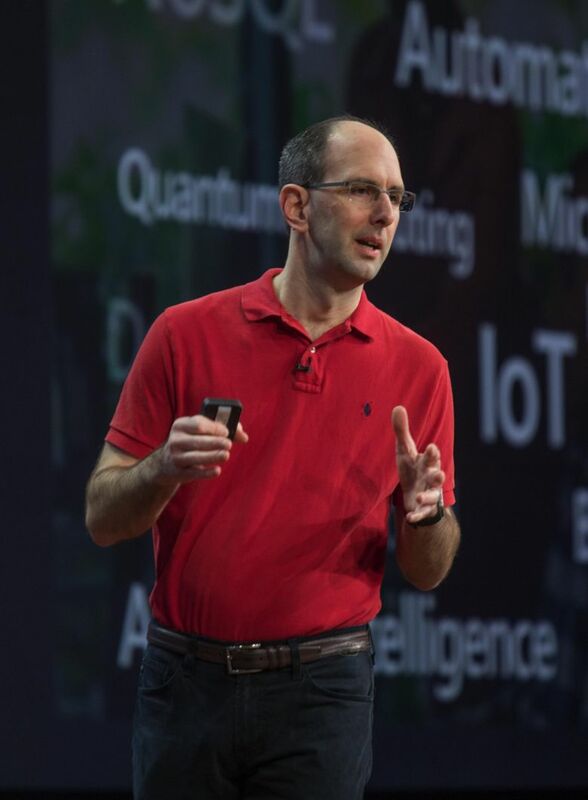 The conference this year is emphasizing the company’s cloud computing technology and its focus on enabling Microsoft software to be used across devices, not just on Microsoft-created hardware and services. Nadella seemed to point to that philosophy Monday morning by opening his speech with a mention of Microsoft co-founder Bill Gates’ support of Apple. Gates told CNBC on Monday that Apple is an “amazing company” with strong profit potential, backing Warren Buffett’s decision to increase his company’s stake in the tech giant’s stock. It’s the first time Nadella has heard Gates talk about stock in the 30 years they’ve known each other, Nadella said, and he chose to talk about Apple. 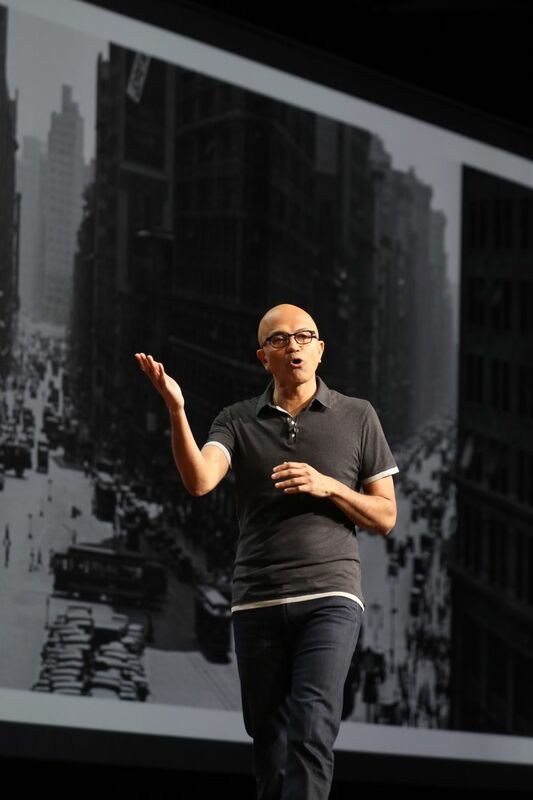 “That’s the new Microsoft for you,” Nadella said.